Has the world changed, friends, or have we changed? 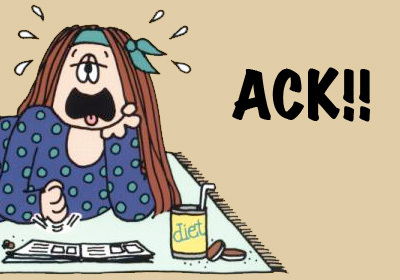 A few short weeks ago we were using this space to harangue Community for its many perceived faults — its over-reliance on reference humor, its lack of grounding or stakes, its constant flailing for jokes, any jokes, resulting in visible metaphorical sweat droplets rarely seen outside of a vintage Cathy strip. But then came last week’s bottle episode, a taut and rewarding exercise in classic sitcom construction. Very good, we thought! Community proved it can do the other thing, so now it is free to go back to doing its favorite thing: making you guys laugh and giving us a reason to make you angry. But “Conspiracy Theories and Interior Design” doesn’t follow the script. (Well, it actually follows a very good script by Chris McKenna, but we’re working on an elaborate metaphor here.) It played with genre expectations — this time, paranoid thrillers — yet it had heart and recognizable characters. It had references galore — the garbled phone call, the crisscrossing loyalties — yet the jokes were fresh, hilarious, and surprising. It had a campuswide blanket fort and yet it had a Latvian Independence Day parade. It was, in a word, fantastic. This lie, however, is a biggie: Jeff has never seen this guy before, yet rather than get to the bottom of it he’d rather get to lunch before Fat Neal eats all the lima beans. Annie is having none of it: She wants the truth even if it means rolling about on the floor shouting baby talk, revealing how terrible she is at passive aggression and, in Jeff’s words, trying to “Nancy Screw” him out of a free credit. And then the genre mash-up begins and it’s delightful: The miniature car in Annie’s environmental diorama tiny explodes (“a tiny, underwhelming message”), leading the two sleuths to track down Professorson at Nigh School (where classes include “Math,” “History of Something,” and “Learning!”). Caught, the nutty professor leads them on a classic chase scene through Abed and Troy’s man-size blanket fort (which leads to an all-time great reveal: Britta randomly indulging in some debaucherous, twenties salon action somewhere in the maze of pillows — without a pinch of fiber or an episode of The Mentalist in sight). The last act features more twists than Chubby Checker’s worst nightmares: Professorson is actually Wooley, a lying student who had to construct an even bigger lie to avoid getting caught. Except he’s actually Sean Garrity, the drama professor — this was all the Dean’s plot to (gasp!) teach Jeff a lesson! But then the tables are turned yet again in an outrageous finale in which everyone is shot by fake guns and Annie is even given a chance to slip in some real feelings. No one learns, but everyone wins. (Except maybe for the Dean — he’ll have to tell his father the truth this Thanksgiving. Would that his hoodie were a time hoodie!) As the walls of Troy and Abed’s suddenly mainstream blanket fort collapse around us (and we never even had time to check out the Civil Rights Museum! ), we say: Bravo, Community. Suddenly this is a show firing on all cylinders. And, unlike Annie and the burly cop with the shotgun, it’s not firing blanks.